loved one at home and your mind at rest. 90% of seniors asked would prefer to live in the comfort and familiarity of their own home. We offer Private Home Care because home is where the heart is. So it’s no wonder, 90% of seniors asked would prefer to live in the comfort and familiarity of their own home. But aging can make this difficult and downright unsafe, if not accompanied by help. Family just can’t do it all. That’s where we come in by providing compassionate, experienced, professionally licensed care for the short or the long term. Most importantly, we can provide you with peace of mind. Our expert staff includes Registered Nurses, Licensed Practical Nurses and Certified Nurse Assistants. For that reason, we will care for your loved one wherever their heart is—in a skilled nursing facility, the hospital or wherever they call home. Want to learn about Visiting Nurse Private Home Care Services? Visiting Nurse can be a trusted companion and the “eyes and ears” to spot changes in health and ensure safety throughout the day and night. 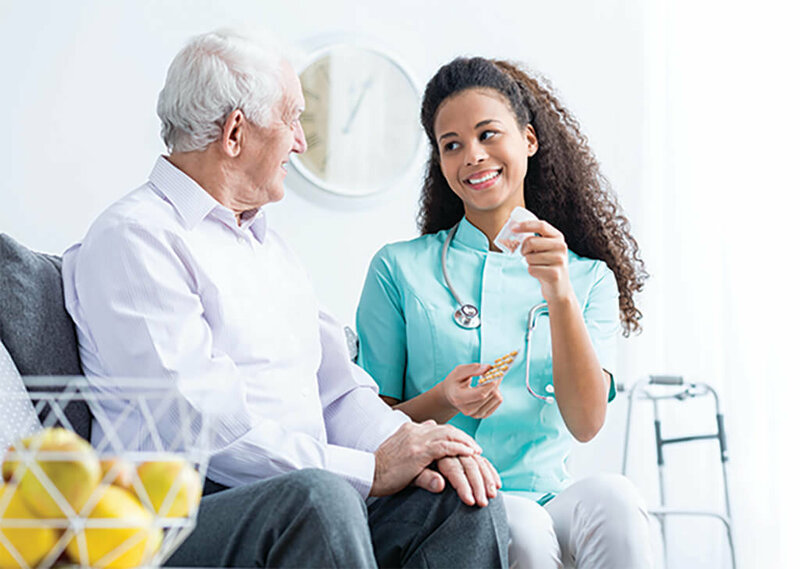 Each of our clients is set up with OneCare—a tele-monitoring system that will notify the family and a nurse if there is a missed medication, missed vital signs or any other alerts. The cost of these services vary depending on the needs of the patient. Furthermore, Private Home Care is currently paid out-of-pocket or by a long-term care insurance policy. It can complement or extend Medicare covered services such as skilled nursing or therapy. We can be the extra set of hands that help keep your loved one safe and where they want to be. For more information about Visiting Nurse Private Home Care call 404-658-5800. And you can sleep better knowing that there are skilled and experienced professionals watching over them at home.